We post a lot of different things here at Stereogum, but we have one ironclad rule: We never, ever post month-old videos from German reality TV. It’s etched into our foundation. We just don’t do it. Sometimes, though, two adorable little girls sing the absolute motherfuck out of a 26-year-old song that once threatened to turn Radiohead into one-hit wonders. And sometimes, you have to break your own rule. You guys know about The Voice. The TV franchise started in the Netherlands in 2010, and it spread very quickly around the world. The American version started in 2011, and it’s been a monster hit. One thing we don’t have in the US is The Voice Kids, the self-explanatory spinoff. 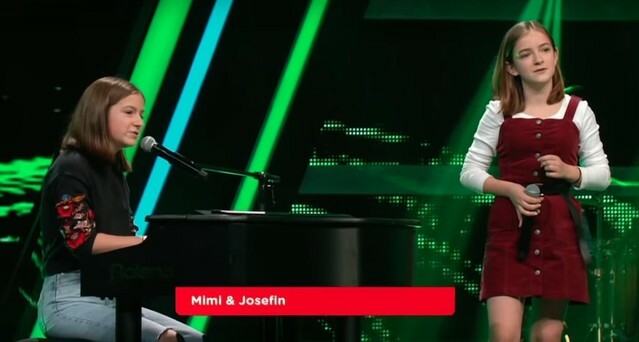 Right now, there are 30 different versions of The Voice Kids airing around the world. (Fun fact: will.i.am is one of the coaches on the UK version.) And on an episode of the German edition of The Voice Kids earlier this year, two small children sang “Creep” like it belonged to them. The kids in question are Mimi and Josefin. One of them sings and plays piano, and the other one just sings. I don’t speak German, and English-language information on them — and the German edition of the show itself — is scant. (Nena, of “99 Luftballoons” fame, used to be one of the coaches. Right now, both members of the BossHoss — a German duo whose thing is that they play jokey country covers of pop songs — are coaches.) The video of the “Creep” performance already has more than 10 million views, but I had no idea it existed until it showed up in my Twitter feed this morning. I don’t know how old these two kids are. I don’t know if they’re related. (I’m guessing they’re sisters.) I don’t know how far they’ve gone in the competition. But I do know that they took a beloved old song — a song that would seem to resist things like singing-competition TV shows — and sang it beautifully, showing off their TV-friendly technique while still connecting to the whole lost-soul insecurity that made the song matter in the first place. It’s good TV! Watch it below.